The 17th edition of the Aesthetic & Anti-Aging Medicine World Congress will take place in Monte Carlo from the 4th – 6th April 2019. 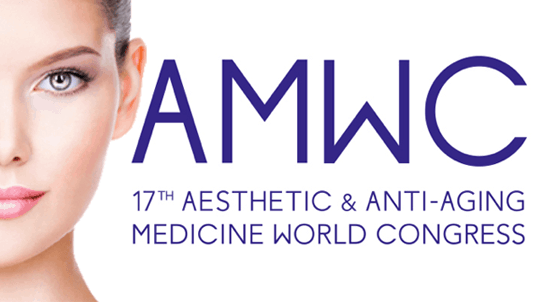 Under the scientific supervision of the World Society of Interdisciplinary Anti-Aging Medicine (WOSIAM), AMWC will feature a highly interactive, stimulating and multidisciplinary program and will provide the ideal forum to stimulate ideas, educate, share expertise, initiate intense discussions and extend networking opportunities. Many distinguished physicians, medical experts and scientists have joined the faculty and will take part in this congress. In recent months Lumenis have added some fantastic new products to the Lumenis line up including; the Legend Pro+ for skin resurfacing and toning, the SPLENDOR X for laser hair removal, the NuEra Tight for skin tightening and cellulite reduction and the PiQo4 for tattoo and pigmentation removal. All of which will be on display at AMWC 2019, booth C12.